There were few changes from the field which had been in action in Holland a fortnight earlier (where James Hunt had scored his first F1 victory) although Ian Scheckter had left the Williams team and Francois Migault had been taken on as his replacement. Tyrrell agreed to field a third car and Elf protege Jean-Pierre Jabouille was given the drive. 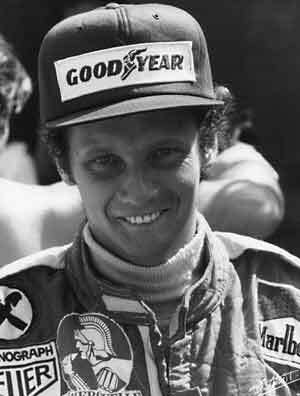 Qualifying was a similar story to recent races with Niki Lauda on pole position for the fifth time in six races. Alongside him was Jody Scheckter's Tyrrell while James Hunt was third in his Hesketh. Fourth on the grid was Jean-Pierre Jarier's Shadow. The third row was shared by Carlos Pace's Brabham and Tom Pryce (Shadow) while the top 10 was completed by Jochen Mass (McLaren), Vittorio Brambilla (March), Clay Regazzoni (Ferrari) and Emerson Fittipaldi (McLaren). At the start Lauda went into the lead with Scheckter behind him. Hunt was third and Jarier fourth but Pryce made a poor start and had dropped to the tail of the field. Mass was thus fourth with Pace fifth and Regazzoni sixth. The Swiss driver was the man on the move in the early laps, passing Pace, Mass, Hunt and Scheckter to claim second by the sixth lap. On the seventh he suffered engine failure. A couple of laps later Hunt overtook Scheckter for second and the South African dropped behind Mass and Emerson Fittipaldi soon afterwards. The top four then remained unchanged until the finish while Andretti ended the day fifth with Depailler sixth.